Sure, I have the greatest job in the world along with the best coworkers now, but I’m not gonna sit here and tell you that there weren’t some bad workplace bumps before I got here. But even then, I think the worst thing I ever did upon leaving a job was only giving two weeks notice. Also on that job, I once ate somebody’s takeout that was on the counter that I thought was up for grabs—turns out I ate their lunch by mistake (an apology 12 years too late: sorry, Heidi). But I can’t imagine hating a co-worker so much that I would actually try to sabotage their going-away party, with collateral damage in store for all of the other guests. It sounds like a plot line that got tossed out of the Office Space screenplay. The woman at first denied that the brownies had been compromised. But once police said that they were going do some forensic testing on her devil’s dessert plate, she folded like a pair of twos. The police chief also stated “that police learned from other employees, though the suspect denied it, that there may have been some previous tension between the departing employee and the 47-year-old woman.” Ya think? Charges were not filed, since thanks to the tipster angel, no one was actually harmed. But it must be pointed out that those brownies likely would have affected not just the guest of honor, but all the other chocolate-lovers at the party. Honestly, if you hate your fellow employees that much, just get a new job already. Unemployment is down now, right? 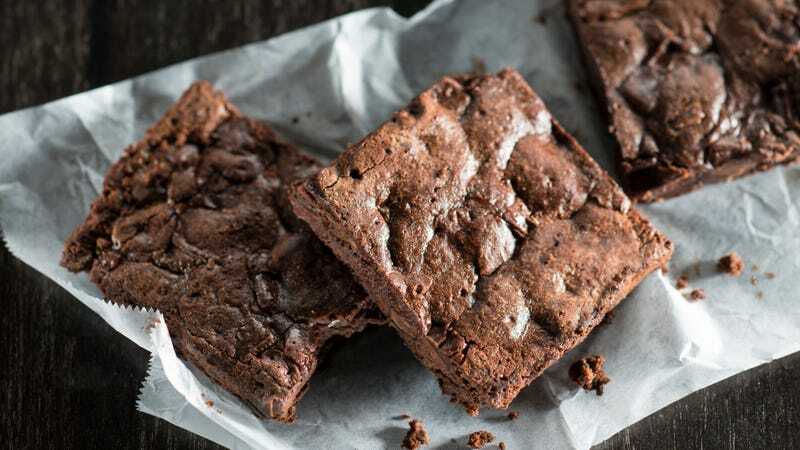 This woman will now have the chance to do just that, as her brownie prank got her fired. Good luck getting a decent job reference.